THE Colosseum, the huge Roman amphitheatre used for animal shows and gladiatorial combat, was built with the spoils of the sack of the Jewish temple in Jerusalem, a new archaeological find suggests. A recently deciphered inscription was made public yesterday as organisers prepared for an exhibition on the monument, opening next week. A feature of the show is a large, altar-like stone with a chiselled Latin inscription, which tells how a senator, Lampaudius, had the Colosseum restored in AD 443. The translation is: “The Emperor Caesar Vespasian Augustus had this new amphitheatre erected with the spoils of war. There is no doubt what war this was, the sack of Jerusalem,” said Cinzia Conti, the director of surface restoration at the Colosseum, yesterday. Ms Conti said the Emperor Titus inaugurated the Colosseum in AD 80 with 100 days of festivities, but his father, Vespasian, had first opened it in AD 79, shortly before he died, when it was still unfinished. The original bronze lettering on the stone altar would have been made for the original opening. The sack of Jerusalem occurred in Vespasian’s reign in AD 70, when a revolt by the Jews was crushed and Jerusalem was captured by Titus. The temple was destroyed and a million people were said to have died in the siege. The Arch of Titus, at the end of the Roman Forum nearest to the Colosseum, commemorates the victory, and bas-reliefs show Roman soldiers making off with booty from the temple. 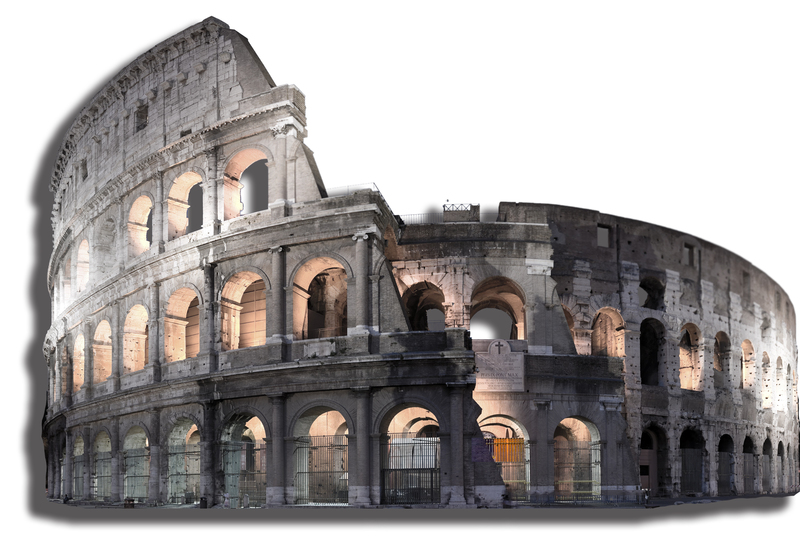 Two years after the sack of Jerusalem, in AD 72, work on the Colosseum, officially known as the Flavian Amphitheatre, began. What’s So Great About History?